Anyone that really knows me knows that shopping is not really my thing. For me to have a favorite store or a store I am somewhat excited about is rare indeed. 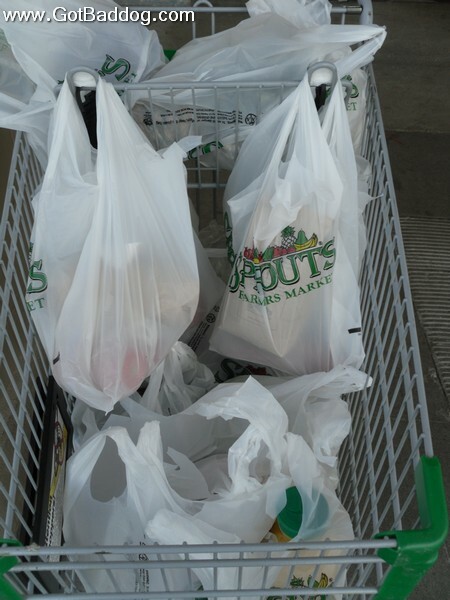 Last week I discovered Sprouts Farmers Market. I was actually looking for one of those outdoor farmers market setups when I found Sprouts in Google. I read a couple reviews and decided I had to check it out for myself. Since I am getting into juicing it seemed like the natural thing to do. Am I ever glad I did. In the past, I have found that shopping for healthy foods like fresh fruits and vegetables can be kind of expensive. Sprouts not only has better and fresher produce than a supermarket, but the prices are a fraction of those found in the big chains. As a bonus, I found out today that they are opening a new store a block from my home. My picture of the day for day 300 is of my score for today.